How to use a Variable Frequency Drive? 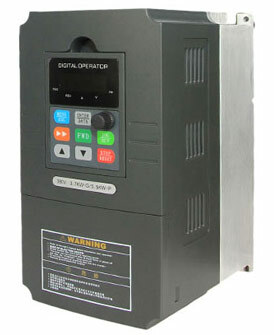 Variable Frequency Drive, in short VFD, it can be called VVVF drive, variable voltage and variable frequency to change this from sinusoidal AC, the VFD changes the AC to DC first then DC to AC by using IGBT, this is done by firing IGBT very fast (carrier frequency), so this output is not sinusoidal. If you want to know how does a VFD work, you should hit up Wikipedia or Google it, lots of articles out there. If you're wondering about how to use a VFD, there are numerous considerations, and you should work with a local engineer and/or VFD supplier before you begin working with one. I have seen many VFD designs provided by manufacturers. While a VFD may seem like a commodity item - such as a combination disconnect - it's simply not. There great differences in designs between VFD manufacturers and VFD models. As far as I can tell, you need to be knowledgeable about the specific VFD you are installing, and give special consideration toward the selection of the motor and the motor/load-side VFD cables. Some additional warnings, full-wave-rectified 6-pulse VFDs are renowned for the noise/harmonics they cause on the source side of the VFD. Some situations may warrant an 18-pulse VFD but I haven't come across an appropriate situation yet. Upstream transformer size, utility requirements, and adjacent loads can all play a part in VFD selection. Even the VFD-to-motor distance can change VFD system performance, reactors may be required.